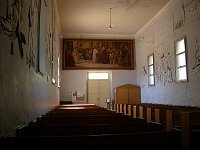 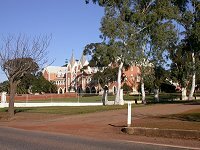 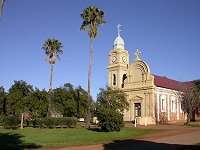 New Norcia is located 130 km north of Perth and it is extremely unusual - in fact, this is the only town in Australia of its kind. 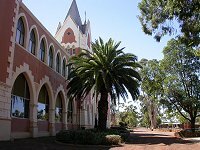 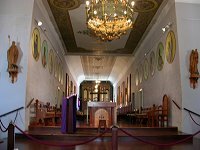 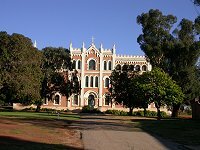 It was established in 1840's by Spanish Benedictine monks and named 'New Norcia' after Norcia in Italy (the birthplace of the founder of the Order - Saint Benedict). 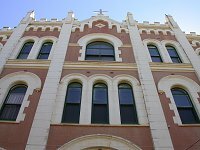 Two names should be mentioned here - Dom Rosendo Salvado who has initially led the community and Dom Fulgentius Torres who replaced him in the beginning of 20-th century (when most of the remarkable buildings were constructed). 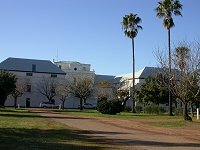 Also very important - please do visit the Museum. 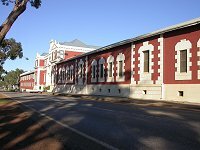 Except the artefacts and the description of the settlement's history it posesses an Art Gallery that has a number of excellent paintings (one of them by Rafael Sanzio). 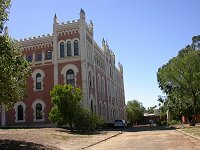 It could be said that, together with architecture, it brings the sense of the Europe into the middle of Australian bush. 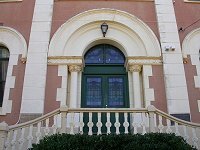 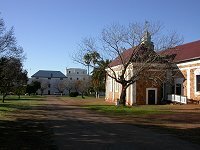 If you are planning a visit outside Perth and are heading north - please visit New Norcia, you will not be disappointed.